We know that a LOT of people are unhappy with something about their smile. Whether it’s crooked teeth, gaps, uneven or excessive gums, chipped and worn teeth, stains from coffee/tea/soda, broken teeth from trauma….you name it, we can fix it. 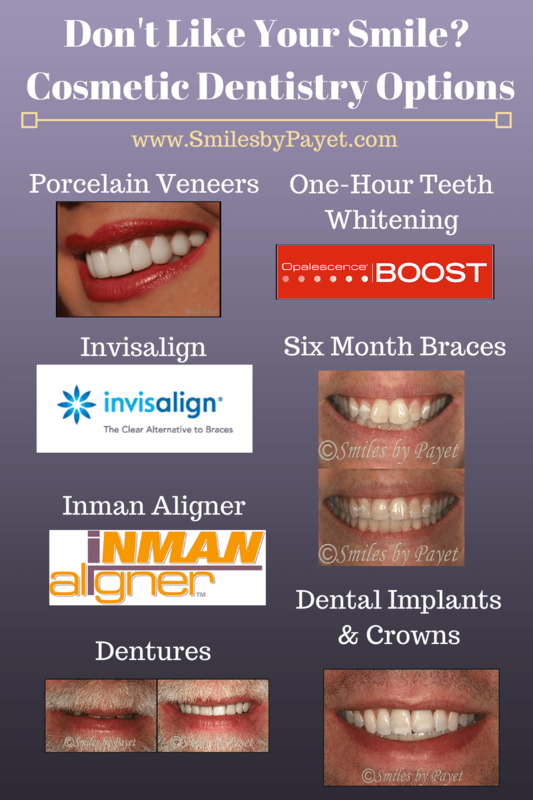 We offer so many different options to help you LOVE your smile instead of hate it.